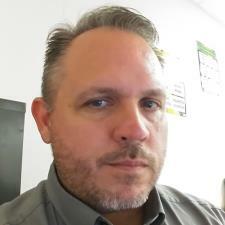 My name is Joe, and I have 20 years of experience teaching Spanish in North Texas schools. I hold a master's degree in Spanish from the University of North Texas, and currently work as an adjunct faculty member with Dallas County Community Colleges as well as a local charter school. I am available weekdays and evenings, as well as some weekends, to help you with all levels of high school and college Spanish coursework. I am also qualified to tutor you in English and college test preparation (SAT, ACT). I will be able to explain the tough grammar concepts and help you with your speaking and listening skills as well. Put my expertise to use for you to boost your grade and/or to develop your ability to communicate in the Spanish language! Rate details: Full price for first two students in the same session, and 50% off for each additional student. I have been teaching Spanish at the high school and college levels for 20 years. I can help you with introductory Spanish, learn terminology for your work, and succeed on Advanced Placement tests as well. I can also help you improve your conversational Spanish skills for a variety of workplace settings. Tutored my son Spanish, knows the IB program and Spanish expectations for the diploma. very good teacher, on time and teaches the subject well . very patient and teaches until the student gets it. he had good command on grammar and vocabulary. Speaks very good and fluent english and spanish which helps the kids to understand better. Joe is working with our high school junior prepare for Honors Spanish 4 exam. Our son feels Joe has a great working knowledge of his advanced level of Spanish and is very helpful. Joe is teaching me conversational Spanish, and i must say he's quite a good teacher. We work 1 on 1 and sometimes visit local restaurants to practice my Spanish. He has great energy! I hired Joe to help my sister with her Spanish course. She reports that Joe is an excellent teacher and has helped tremendously with her understanding of Spanish. She also says that he is a really nice guy and enjoyable to work with. I highly recommend Joe.